According to a press release from Main Events, Zab Judah has filed a formal protest with the Nevada State Athletic Commission and has sent letters to the World Boxing Association (WBA) and International Boxing Federation (IBF) in hopes of receiving an immediate rematch with Amir Khan. On July 23, Khan stopped Judah in the fifth round of their fight in Las Vegas. Judah complained that the knockout shot was a low blow, but there wasn't much controversy to anyone that wasn't affiliated with Judah. "We know Zab was behind on the scores cards but there are numerous examples in boxing history where boxers that were behind came back with a knockout," said Bill Halkias of Super Judah Promotions. "The fact that Zab was behind has no bearing on whether the low blow call was wrong. We still had seven more rounds to fight. Zab still could have won, but that opportunity was wrongfully taken away from him." Duva continues to encourage people to watch tape of the finish. "Before making any judgments, I would ask everyone to take a look at the tape," said Duva. "The video doesn't lie." It doesn't lie, but it also doesn't clearly indicate a low blow, and that's from every angle, in slow motion. I will say that I wish Judah would just move on, because absolutely nothing is going to come of this, and it feels like this is only happening because of the Mares vs Agbeko controversy, and the fact that the IBF ordered an immediate rematch of that catastrophe. But I will also add that Agbeko, who was hit far more obviously low than Judah was, got up on a bad knockdown call. Judah did not. Judah stayed down. 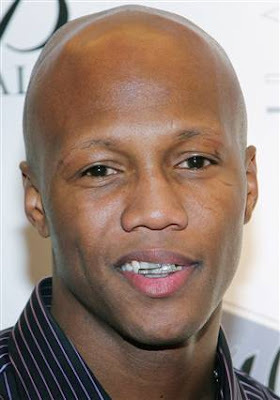 Zab Judah, as he's fond of saying, has been a professional since he was 19 years old. He's 33 now. He knows better than to stay down in that situation.